The theme for this month is Beauty Junkies. I think that the theme is perfect! Let’s be honest, all people who are subscribed to beauty boxes are likely to love (and when I say that, I mean LOVE) beauty products (and more than likely those of you who are reading this review of it right now! ), so this theme resonates in all of us. 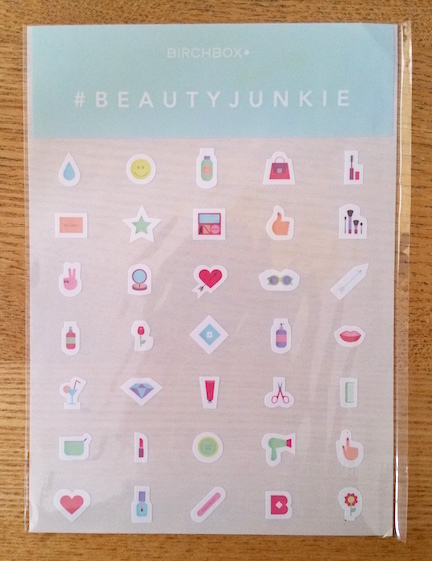 However, basing a box on the theme Beauty Junkies does add a certain amount of pressure to get this box right. So have Birchbox done that with this box? Let’s take a look! Rituals Ayurveda Scrub is an exfoliating product designed not only to slough off dead skin cells but to also soften and cleanse too. In addition to using it as a scrub, you can also use it as a body mask if you leave it on the skin for five minutes. This is the first thing that I could smell upon lifting the lid on my box! It’s a very powerful smell, but a very beautiful one, too. The scrub itself is a very dark grey in colour but turns white upon application to the skin. My skin was left feeling smooth and soft after use. Not only that, but the scent is really relaxing! Definitely a fan of this and I highly recommend it to those who are on the hunt for a new exfoliating body scrub. 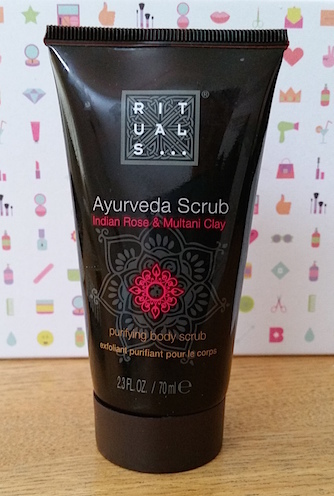 You can purchase Rituals Ayruveda Scrub for £10/150ml from Birchbox. The Huygens Exfoliating Cream is a natural, gentle facial exfoliator. It contains rice particles to scrub away dead skin cells as well as green tea and sesame oil. 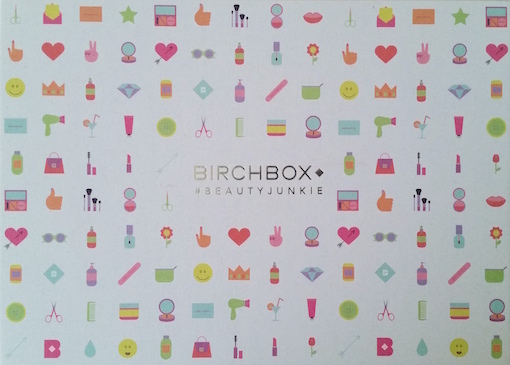 Birchbox describe it as being “healthy skin in a jar”. I’m really happy that I got to sample this as I have wanted to try a product by Huygens for a while now. However, there is a lot that I have to say about this scrub, so I have decided to write a full-length review on it. I’ll be updating this as soon as said post is online! EDIT: The post is now online and can be found here! Meanwhile, you can purchase Huygens Exfoliating Cream for £17.90/50ml from Birchbox. The Kebelo Clarifying Shampoo is designed to remove product build up from the hair, giving it a fresh start. It doesn’t need to be used daily, instead being a great monthly treatment. Sadly, this is another one of those shampoos that I can’t use due to it containing certain ingredients that I avoid in my haircare routine. It is a shame as my hair is in need of clarifying as well! If anybody has any comments on this product that they'd like to add to this paragraph, leave a comment and I shall add it into the post (with credit to you, of course!). 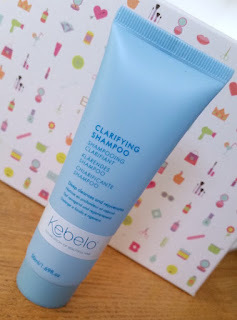 You can purchase Kebelo's Clarifying Shampoo for £13.95/250ml from Birchbox. theBalm’s Desert Balm Bronzer/Blush is a shimmering bronze powder that can be used as both a bronzer and a blush at once to provide a beautiful summer glow. I personally found this a little dark and for me, so if you have ivory skin like mine, I'd advise you to be very gentle handed! It doesn't mean that it's unwearable, but just be very careful with how much you apply. 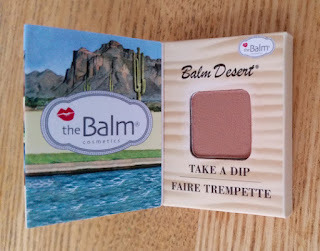 The colour payoff is great and I think that personally I'll be trying this out as a blush instead, but it's another theBalm product that I really like. I haven’t yet tried a bad product by them! You can purchase theBalm's Balm Desert Bronzer/Blush for £15 from Birchbox. This Lord and Berry Blush is a silky powder blush that comes in a range of shades that apply sheer but are buildable for a stronger pop of colour. I received the shade Lotus which is a dark rose kind of shade. Just like the Lord and Berry Bronzer sample from the November Birchbox from last year, the packaging of this sample is a bit fiddly and underwhelming (especially in comparison to the other makeup sample included in this box, theBalm Desert Balm Bronzer). However, the important thing is how good the product itself is, not the sample’s packaging. As I explained above, Birchbox say that this shade is sheer, but I didn't really find that to be the case. When I think of a sheer blush I think of something like Benefit's Dandelion. I don't really see this as sheer at all, but I do think that the shade is gorgeous and it applies well with great longevity. Definitely worth a try! 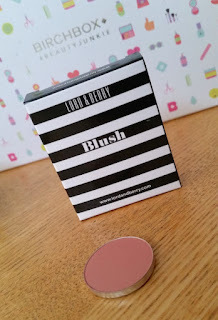 You can purchase Lord & Berry's Blush for £18 from Birchbox. These fast-acting patches by Formula 10.0.6 are packed full of antiseptic and antibacterial ingredients to help banish spots over night. To use, you need to make sure that your skin is cleansed and dry, and then peel and stick a patch over any blemish that you want to heal. Leave it on overnight to reduce inflammation and irritating and remove in the morning. That’s it! I love the idea of these, but I haven't had a chance to test them yet as I haven't had any spots. I'll update as soon as I have some feedback for sure though. 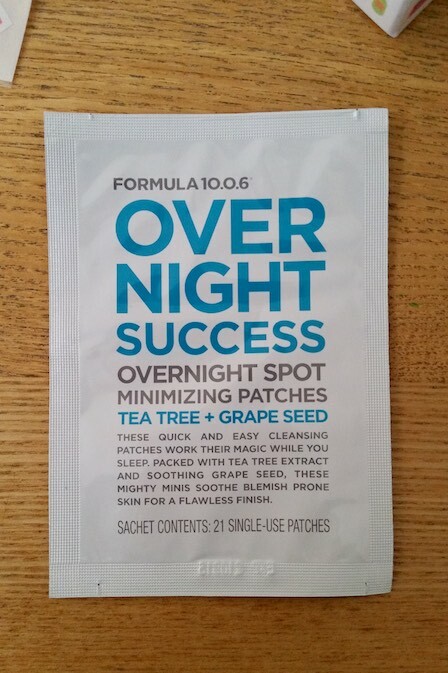 You can purchase a pack of 21 Formula 10.0.6 Overnight Success Overnight Spot Minimizing Patches for £2.95 from Birchbox. What a cute little extra! I had to keep these away from my little man as he adores stickers. These will be all over the walls, floors and doors within no time if he catches a glimpse of them! I have a couple of ideas of where to use these so I’ll be getting my creative hat on and releasing my inner child in a sticker frenzy soon! 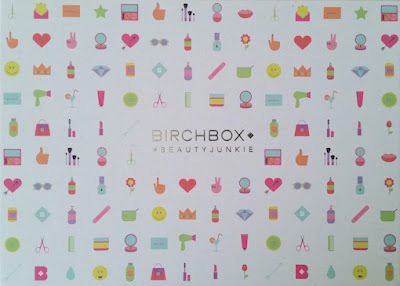 So have Birchbox delivered with this Beauty Junkie box? I’d say yes. The skincare sample sizes are really great this month and the makeup products that I received are both solid products that I like. 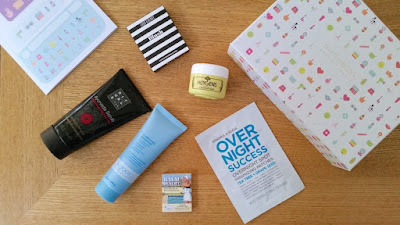 It’s a shame that I can’t test out the shampoo, but for those of you who are like me and prefer natural shampoos, Birchbox do occasionally send out natural shampoos in their boxes and they do have a selection for sale on their website. 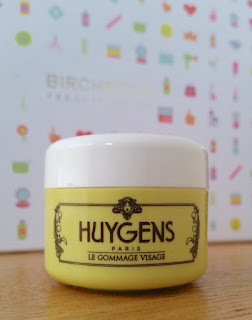 My favourite product this month is the Huygens Exfoliating Cream, but I also really love the other products too. If that doesn't make it a good box then I don't know what does!